The team at Emmerson Critchley wholeheartedly recommend lime rendering and has plenty of experience and expertise in this traditional skill. 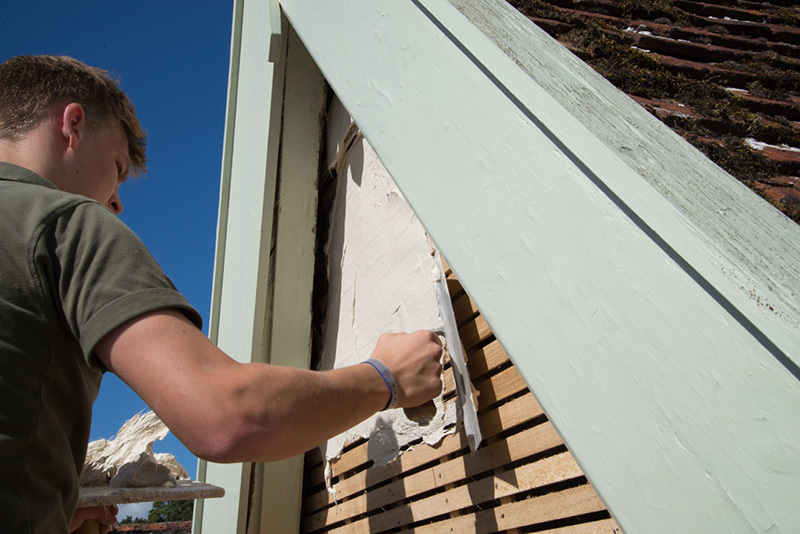 The ultimate benefit of lime rendering is breathability and lime is commonly agreed by conservators to be a highly sympathetic material for traditional construction. While some finishes and renders can be impermeable meaning that moisture can become trapped, which ultimately leads to all sorts of problems, lime rendering provides a breathable finish that does not trap water and also copes brilliantly with the elements – come rain, frost or shine. The result is a hardy, resilient finish that will stand the test of time. Achieving best results and getting lime rendering absolutely right is a fine art and something of a science that relies on technical expertise and experience of the carbonation process and the methods involved – thankfully it is also a traditional skill that the Emmerson Critchley team is extremely well versed in.